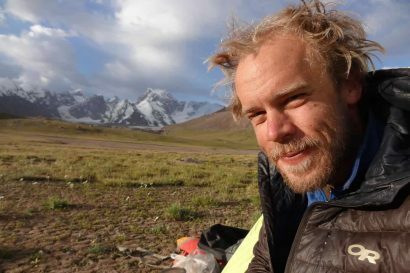 It’s not what many overlanders want to hear, but aside from the challenges presented by winter snow, the vast majority of the roadways to and through Alaska are easily traveled in a Honda Civic. When people ask me which vehicle I think is most ideal for a trip to our 49th state, I’m quick to suggest a Mercedes station wagon with a big bag of snacks and a huge playlist of tunes. The reason for this is simple enough. Alaska and the northern provinces of Canada are harsh places. Mother nature doesn’t relinquish her turf easily, so any road cut into the landscape has to be done with authority lest she reclaim it. As such, northern roads are wide, smooth, and surprisingly well maintained. Simply put, there aren’t a ton of bumpy dirt tracks to traverse. That’s not to say there are none, you just have to know where to look. For overlanders headed north to the Alaskan interior, the final miles to the small city of Whitehorse in the Yukon seem to last forever. Prior to reaching that destination most travelers haven’t seen much in the way of civilization in days. Understandably, whizzing past the turn to the town of Atlin, British Columbia, less than two hours from Whitehorse, is easy to do. For those with a desire to explore one of the area’s hidden treasures, a place webbed with tiny mining roads leading to places remote and lesser known, it’s not a turn to miss. 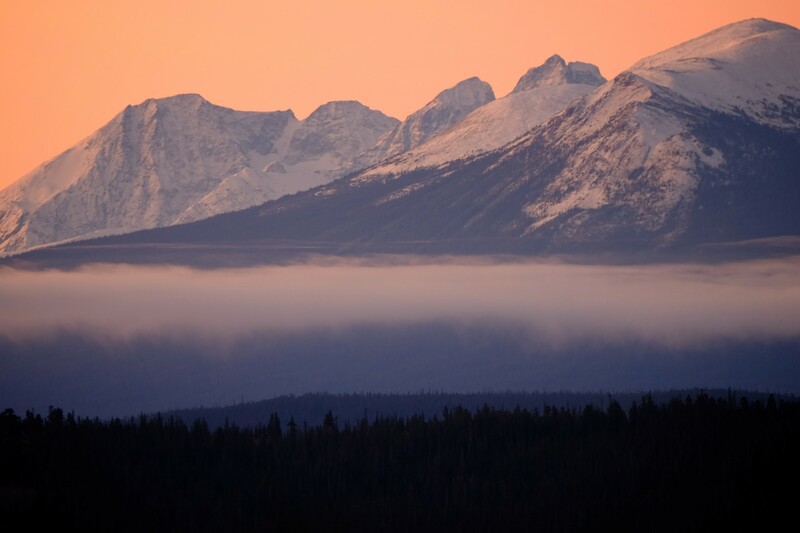 A popular weekend getaway for residents of Whitehorse and Skagway, Atlin is a bit of a local’s secret. All but unknown to outside visitors, it was once one of the more prominent tourist destinations in the western part of North America. 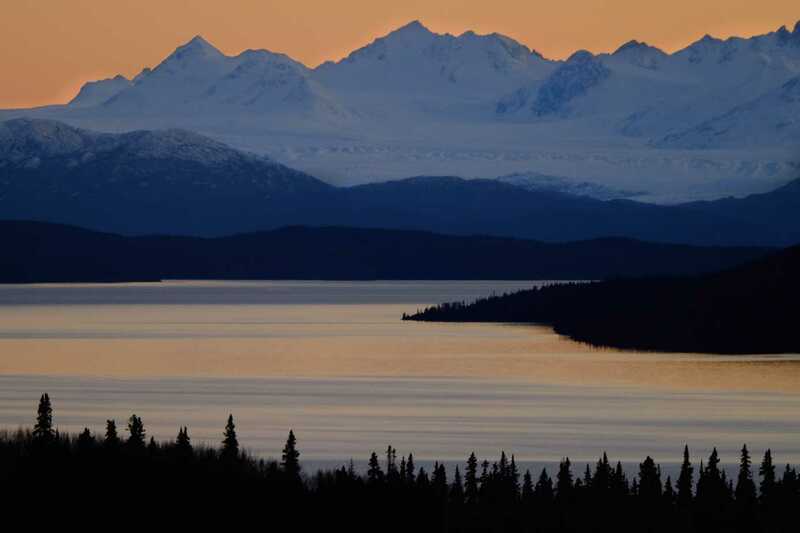 By the time the Klondike Gold Rush had petered out in the early 1900s, everyone throughout the globe had heard of the untamed expanses of the northern frontier. In an effort to dissuade tourists from traveling to the Alps and other popular destinations, companies like the White Pass and Yukon Route, the only railroad in the region, sought to market Atlin as a worthy alternative. 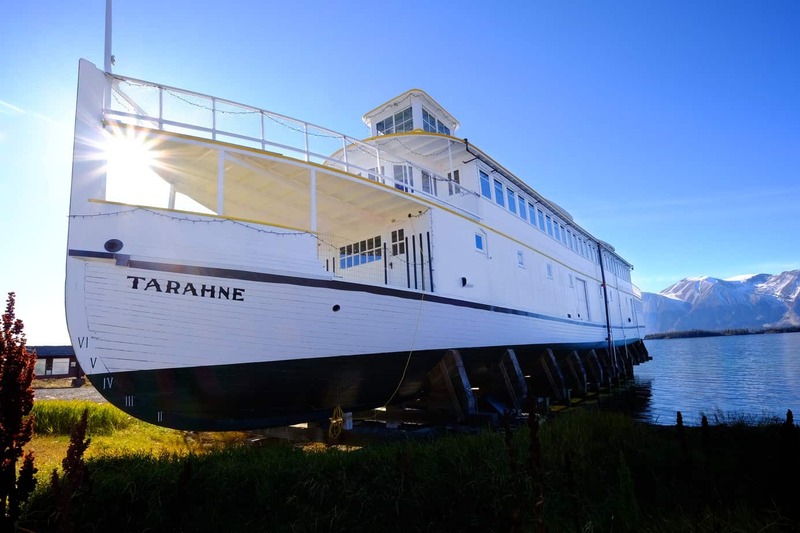 They invested huge sums of money building lodges, inns, and even a massive paddle-wheeler to ferry tourists across Lake Atlin and by the 1920s, had made this small corner of British Columbia the place to be. Fun as it was, that early era of tourism was short lived and it wasn’t long before the only people to make the trip to Atlin were hardened minors hoping to strike it rich in the mountains high above the town. They came in droves with the peak population of the town tipping 10,000 residents at one time. 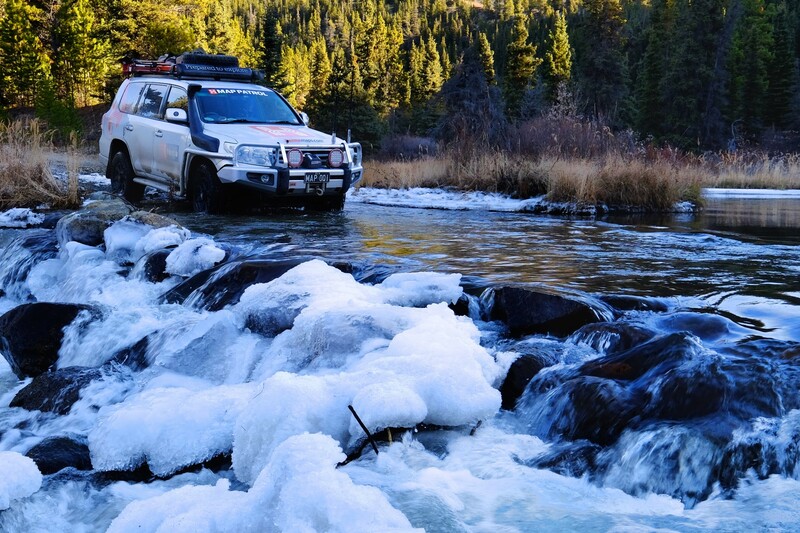 Now long gone, their greatest contribution to overlanders is a network of rugged roads ripe for exploring. On our most recent trip to Atlin this past October we spent a couple of days in the area getting to know some of the spindly ribbons of dirt that weave into the hills. 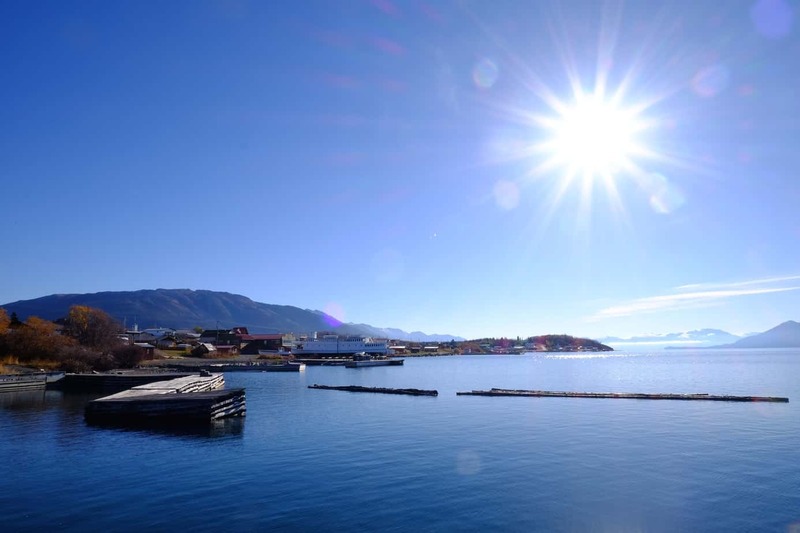 Aside from the popular drive along the shores of Lake Atlin, a massive body of water that resembles the fjords of the Inside Passage, there are a few roads east of town that access several mines and lakes. The longest and perhaps most beautiful is the road to McDonald Lakes, ending some 35 miles away on the banks of Gladys Lake. 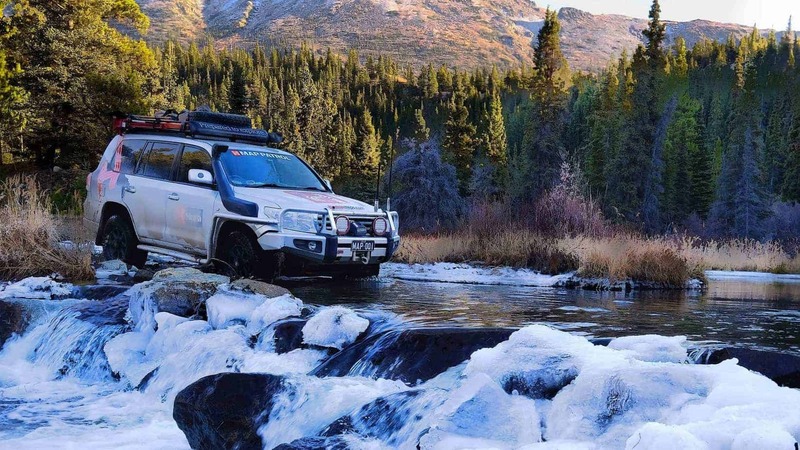 The well marked route, one dotted with at least a hundred small beaver ponds and creeks, requires high clearance although there is no need for low range and may not even require engaging all four wheels. Bumpy, narrow, and serpentine, the road to Gladys Lake passes an old fox farm from the 1950s, several trapper’s cabins, and vistas so massive they boggle the mind. 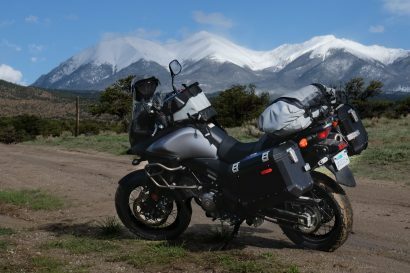 For travelers hoping to locate remote camping spots, this particular road offers dozens of spots for secluded stays and doesn’t present much of a challenge for well equipped off-road trailers. Because we had arrived on the cusp of winter, the portent of a huge dump of snow was a genuine possibility. We opted to stay in one of the many rental cabins located along the fringes of Lake Atlin. As a frequent visitor to the town as a resident of Skagway, Alaska, my favorite haunt is the trio of cabins offered by Glacier View Cabins. 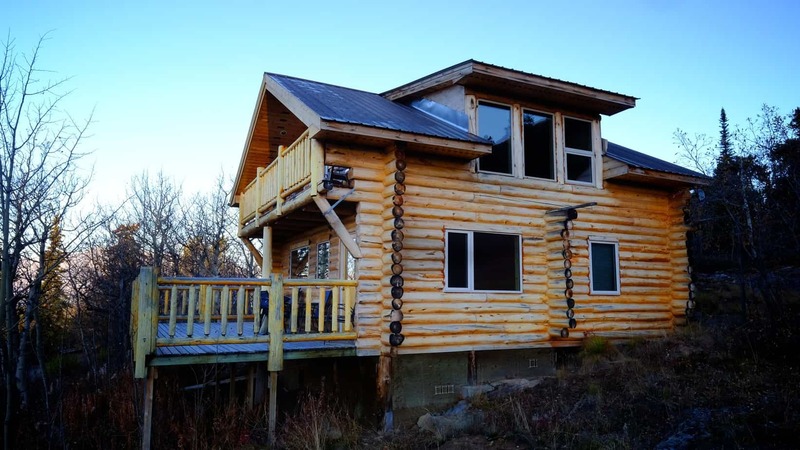 A quaint clutch of log homes built high on a hillside overlooking the lake, they offer unsurpassed views, and as the name implies, of the sprawling Llewellyn Glacier. Massive in scale, it is just one tiny finger of ice that comprises the Juneau Ice field, the fifth largest in the hemisphere. Every year dozens of adventure seekers ski-traverse the ice from Atlin to Juneau, Alaska, a staggering distance of over 100 miles. McDonald Lakes as seen from the road above. 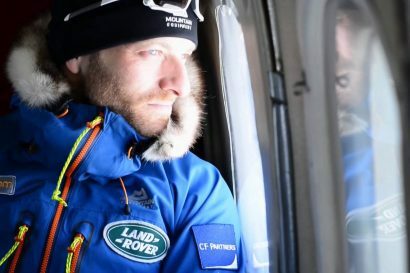 Not to say I lack such ambitions as that journey ranks high on my bucket list, we elected for more casual endeavors, namely sipping whisky on the upper deck of our rental cabin as we watched the sun make its long and slow journey over the horizon. Autumn sunsets in the upper latitudes are gloriously protracted offering a display of changing light that is beyond description. Of the three cabins offered by Glacier View, we elected to reserve the largest, a luxurious abode by wilderness standards. Complete with running water, electric heat, and a full kitchen, it had ample room for up to six people. The two smaller cabins, which I have rented in previous visits, are far more rustic with wood-fired heat and old-fashioned outhouses. They too have commanding views from their wrap-around decks. Peter, the proprietor of the cabins, also runs a canoe and kayak rental operation complete with guided tours of the lake and surrounding bodies of water. 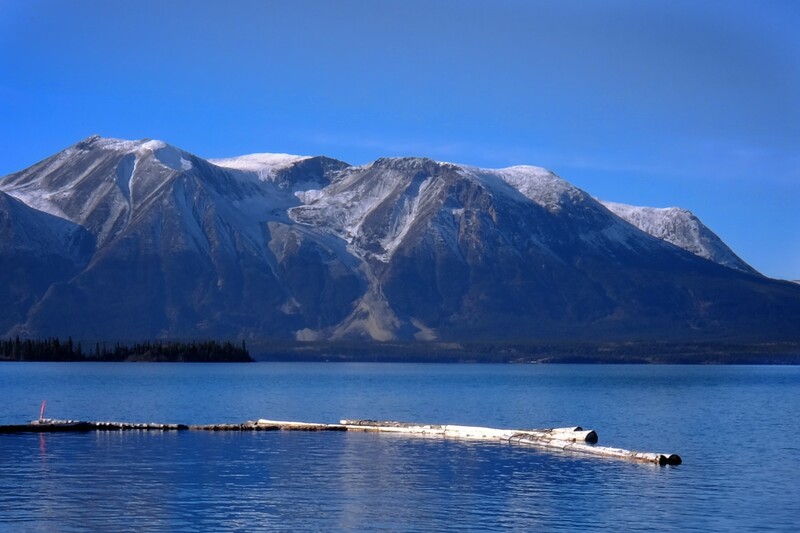 Covering over 300 square miles, Lake Atlin is the largest lake in British Columbia. In other words, it’s not all too hard to locate on a map. You’d think more overlanders would find it. It’s also well signed and can be accessed either from the north just off the Alcan, or via Carcross on the road to Skagway, Alaska. Most people will arrive there by way of the Alcan. 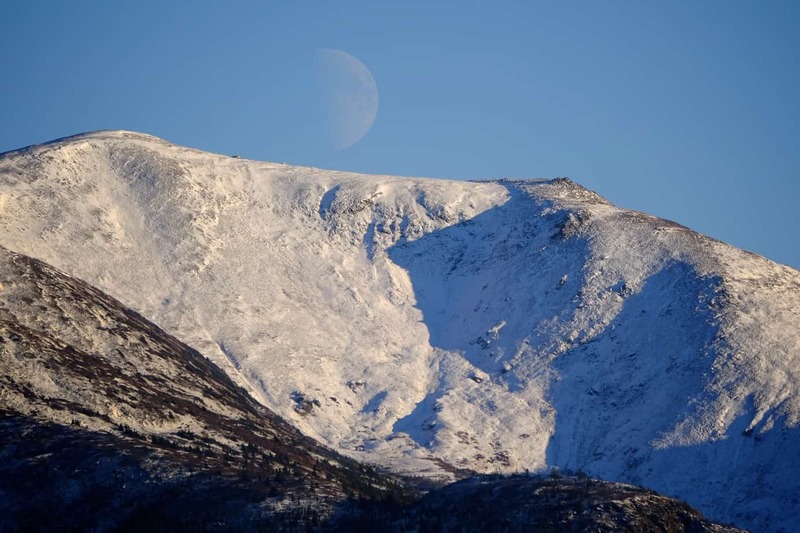 The turn off the Alaska Highway south to Atlin is located at Jake’s Corner, roughly an hour’s drive east of Whitehorse. The road south to Atlin, dirt just a few years ago, has now been chip-sealed which makes it a much quicker drive than before. For those coming from, or going to, Skagway, the alternative route passes through Tagish, which is little more than a few homes, a bridge, and a gas station that is hit or miss. 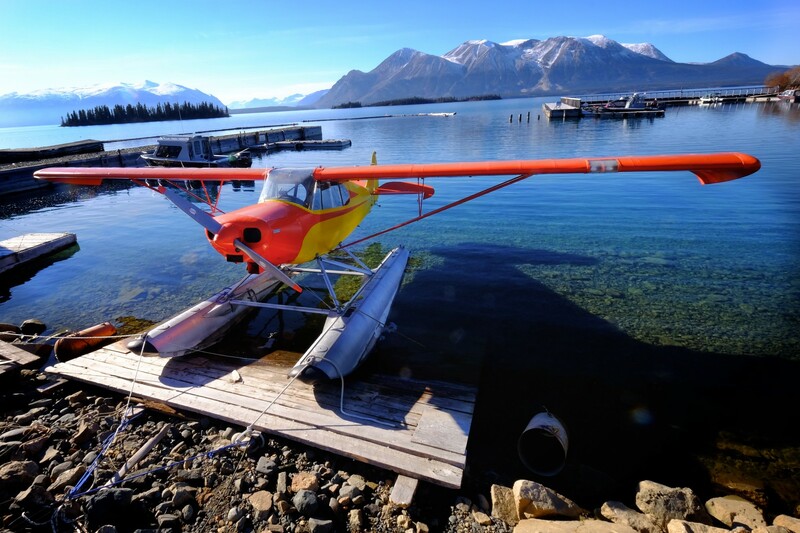 Like other parts of Canada, there are dozens of provincial campgrounds in and around the area leading to Atlin. Well maintained and clean, these campgrounds open late in the spring and close early each fall. At-large camping can be more difficult as side roads are few and far between, most of them leading to private land. 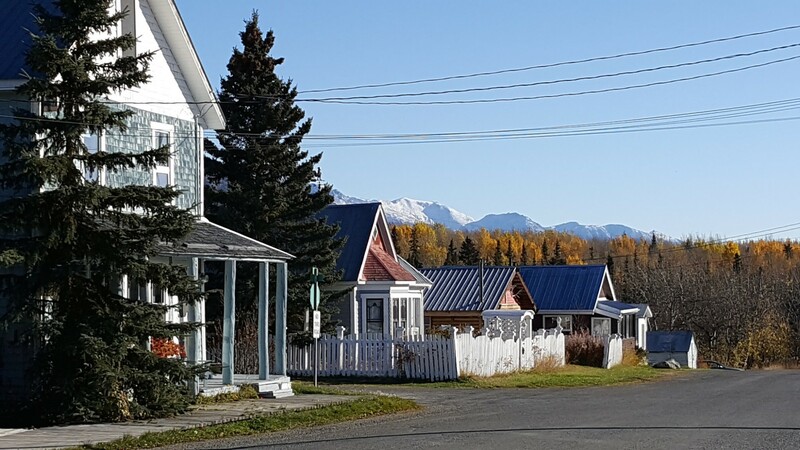 Atlin provides modest options for resupply with a fueling station, liquor store, small grocery store, general store with a delicious bakery, and a couple of seasonal restaurants. Whitehorse has everything anyone would need if you’re provisions really run thin. The view from our cabin included one of the best vistas of the Llewellyn Glacier, its fractured ice glinting in the setting sun. The lake itself is enormous and a popular fishing destination for many of the area’s locals. Another view from our deck. This part of the world is special. It has to be experienced at a tempo that matches the rhythms of nature. If you spend all your time driving, chances are you will miss many of the magic moments. Sunrise across the lake as the first of winter’s storms roll in. The heavy fog that gathers over the lake each fall helps promote the hard freeze that turns the lake into a thick sheet of ice. Teresa Island, pictured above, is a colossal mass of mountain at the center of the lake. It is home to a peculiar geological feature, a rock glacier. One of only a few in the world, but considered the largest and most dynamic, the jumble of rocks bisecting the mountain look and move in a manner consistent with an ice glacier. Advancing only a few millimeters at the bottom, the upper section can move up to a meter each year. The two boats used int the 1920s to ferry tourists around the lake are now shoreside attractions. 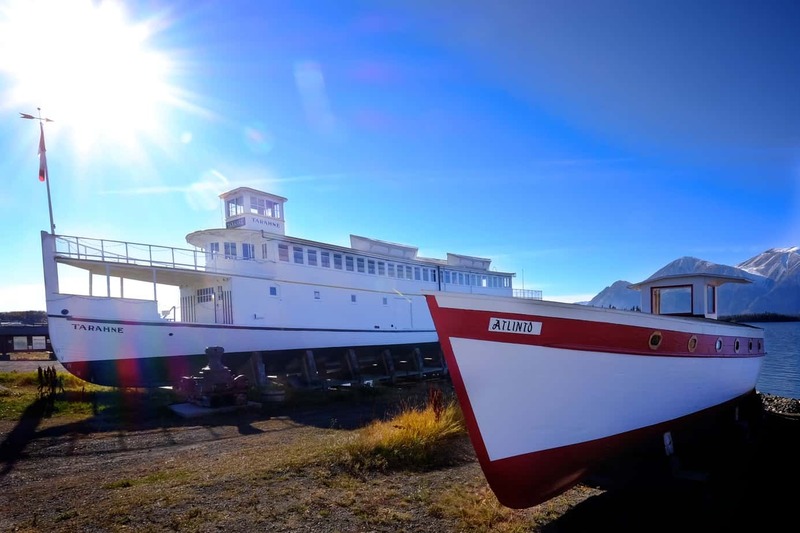 The Atlinto was a swift vessel used to portage visitors across the lake to the foot of the Llewellyn Glacier for a popular Midnight Tour. 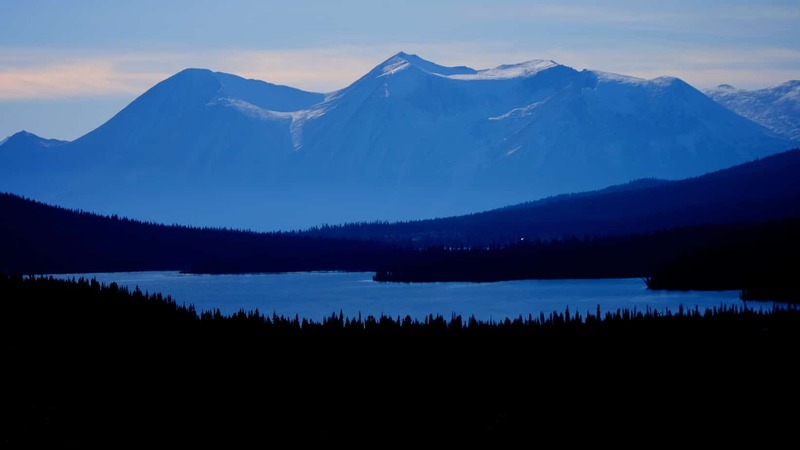 Passengers would depart Atlin at midnight for the one-hour journey across the lake where they would have food, refreshments and make the two hour hike onto the ice just as the sun crested the mountain tops. It must have been an amazing experience nearly 100 years ago. 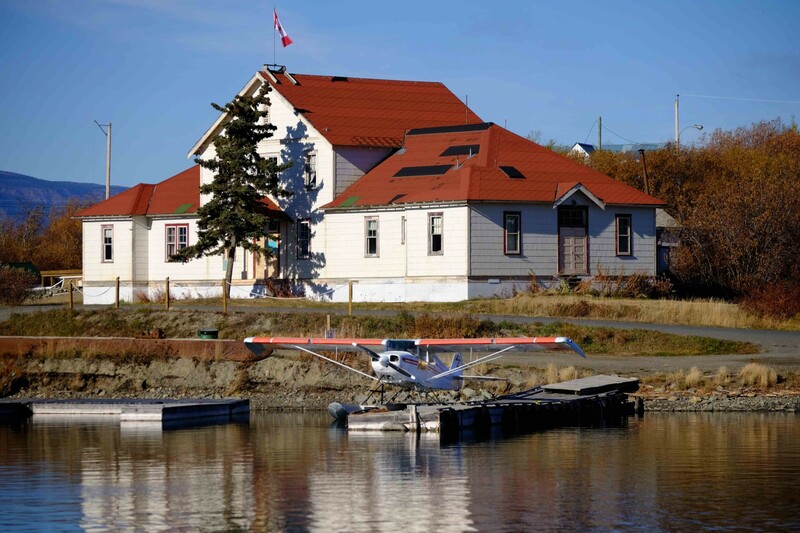 Float planes are an ever present means of transportation in this part of the world. The northern portions of British Columbia, the Yukon, and Alaska are covered with thousands of lakes big and small. The above picture is no trickery of PhotoShop. The late fall light as it is filtered through the horizon casts an etherial glow. This sunset, one of many on our trip, lasted over an hour. 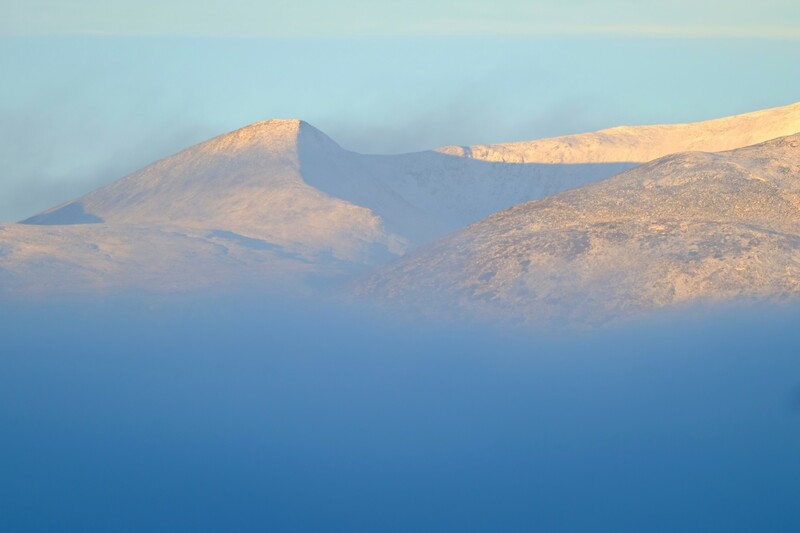 By early morning the thin layer of clouds over the lake had thickened, an ominous sign that winter had arrived. As glorious as summer is in this part of North America, the fleeting few weeks that represent autumn are stunning. It’s a risky time to visit the area but the payoff, if you’re lucky, is worth the gamble.